Big Kahuna is easy to play as it has the standard layout of five reels and three rows. It has 15 pay lines, and it has no standard symbols. That is, all animations have to do with the theme, be it directly or indirectly, making this slot very appealing. There also is a wild symbol, which is the animations with the title of the slot written on it. All wins involving the wild will be doubled, so keep an eye out for them. The snake will take you to the bonus game. 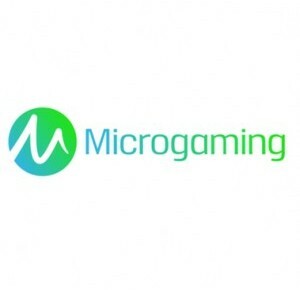 The full name of Microgaming‘s Big Kahuna is actually Big Kahuna Snakes and Ladders. And as this full name give away, the theme of this slot is Hawaii, which, as we’ve judged, has been executed well. There is a bonus game which is worthy of the title of the slot, there are free spins which will be awarded to you completely randomly. Because this slot is kept so simple, has no standard symbol, and is complete, Big Kahuna is here to stay. How to play Big Kahuna? The bonus game on Big Kahuna is actually just Snakes and Ladders. In order to get here, you’re going to need three snakes on your turning wheels. In this bonus game, you’re ordered to retrieve the stolen mask, and that’s not an easy assignment. Namely, watch out for lurking snakes capable of cutting the bonus game short. You will also see flights of stairs which can help you move on in the game. You can only win coins by getting the mask but after the bonus game has ended, you will also receive coins for the number of positions traveled. This final payment could prove to be rather lucrative, making this slot worth your while. Don’t go looking for the scatter as there isn’t one. That is, free spins will be assigned to you randomly and you don’t need a certain combination of animations. When you win free spins, you will only receive five. That is quite a meager number, especially when the considering the fact that you cannot win extra free spins during free spins. However, all wins during free spins will get doubled. Add to this the fact that the wild will also double wins, you might have wins which will be multiplied by four during free spins. Therefore, this random feature might just really make you some money. When you’re somewhat lucky, that is. Big Kahuna has a total of 15 pay lines and you can play with fewer than 15 actives ones. You can configure the number of active pay lines at the bottom of the slot, or you could just use the buttons alongside the reels. Also at the bottom of the slot, you can alter your coin value and the number of coins per pay line. Additionally, Big Kahuna is equipped with an autoplay function, for which you first have the press the expert button on the gray bar bellow the slot. When you click this expert button, more options will pop up.